MADISONVILLE - Ralph B. Whitaker, 85, of Madisonville, died Sunday, May 12, 2013 at 4:10PM at Western Kentucky Veterans Center in Hanson. Mr. Whitaker was born July 20, 1927 in Downs, Illinois. He was a retired welder, farmer, and coal miner, and was a member of Souls Harbor Church. 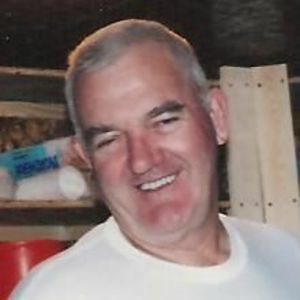 He was a U.S. Army veteran, and enjoyed fishing and woodworking. He was preceded in death by his parents, Van Buren and Geneva Whitaker; sons Roy Wayne Kitchens and Wallace Ray Whitaker; and wife Wilma June Whitaker. Survivors include his daughters, Kathy Walker of Madisonville, Becky (Keith) Noffsinger of Central City, and Marilyn Burden of Island; sons Bobby (Maggi) Kitchens of DeLand, FL and John (Michele) Whitaker of Evansville, IN; fifteen grandchildren; thirteen great-grandchildren with one expected in December; and sister Doll Shumacher. Funeral services will be Friday, May 17, 2013 at 1:00PM at Tucker Funeral Home in Central City, with Rev. Bill Crabtree officiating, assisted by Rev. Gary Taylor. Burial in New Hope Cemetery. Visitation will be Thursday after 5:00PM at the funeral home. Expressions of sympathy may take the form of contributions to Western Kentucky Veterans Center. Envelopes will be available at the funeral home. Online condolences may be made at www.tuckerfuneralhomes.com. I'm very grateful to have met Ralph, he was a one of a kind person and certainly special to me and in my heart. He seemed to never grow tire of questions, he was one of those special people that leaves a lasting mark on one's life, and I'm proud to have known him. I certainly learn a lot in the short time we had together. Ralph love his fishing and working with his hands. I reckon he built everything he owned. Ralph had a great sense of humor as well. This saddens me but I will always have fond memories of this great and wonderful man. The measure of a life well-lived shall not be measured by the money one has or their priceless possessions which they've accumulated, but rather it can be found through the lives they have touched. If the outpouring of sympathy on the loss of this wonderful man is any indication, you can proudly and confidently say his life was full and well-lived. May you find peace and comfort in knowing that his loss is felt by all that knew and loved him. I just wanted to say my thoughts and prayers are with Ralph's family, my family has known him for years, Mr brother Wayne Anderson ,always spoke so highly of his friend Ralph Whitaker. May he rest in peace and his memories be a blessing to friends and family when they recall the special times spend together. This was truly one great man. So sorry to hear of your Dads' and Papas' passing. You're in our thoughts and prayers. We love your family. My memory of Ralph will always be his wonderful smile and his love for everyone and the day I walked in his room and he looked at me a pointed to me and said "That's my baby". I loved being around him and caring for him. What I do is not just a job, it is much more to me and Ralph knew that. What a wonderful man he was. Sending my condolences to all the family of sweet Ralphie Whitaker. He used to bug the snot outta me when I worked at MidTown. Couldnt ask for a kinder soul. I am so very sorry for your loss. Having lost my dad, I know your hearts are so heavy right now. I pray that the loving support of friends and family hold you up as you mourn now and in the coming days and also that the Lord will be especially close wrapping you in His arms so you feel the peace that only He can give. I am thankful for your Dad's service to our country, we are all so blessed because of our Veterans who served so long ago. Dear Soldier, well done thou good and faithful servant! I work for Geary bros.Ralph used to come by the mill all the time great man. Sorry for your loss.